Get yer Hog Island Oyster Co. tickets he’yah! Year-round shellfish. It’s a privilege of our clime. 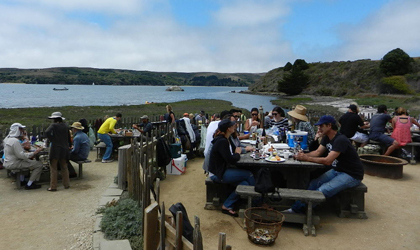 But a table at Hog Island Oyster Company? You have to book those months advance. Luckily, Vantigo has you covered with their exclusive Oyster Experience, your best and last option for scoring a seat at a Hog Island table this summer, taking reservations now. 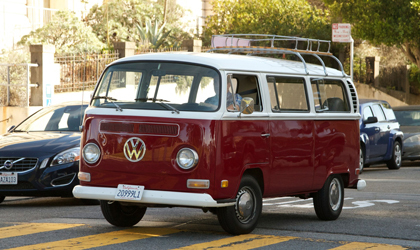 This is you and yours, picked up from the city in a cherry red ‘71 VW Transporter Deluxe and squired north to Tomales Bay with a private picnic at the finish. It’s not like you have to drive, after all. Your guide’ll even play the part of shucker until the time comes to captain you home. Making you the envy of every schlub with an ice chest waiting at the carry-out stand. Dates and seats are extremely limited, so your humble correspondent recommends acting quickly.